Building up your Tandem transmission can be a complicated task due to all the elements involved. We offer a bespoke service for creating your perfect set up. Just give us a call and we will advise and put together a transmission for you. Middleburn Tandem chainsets are based on the RS7 crank arms, forged from 7075 T6 alloy. And your choice of final drive rings. 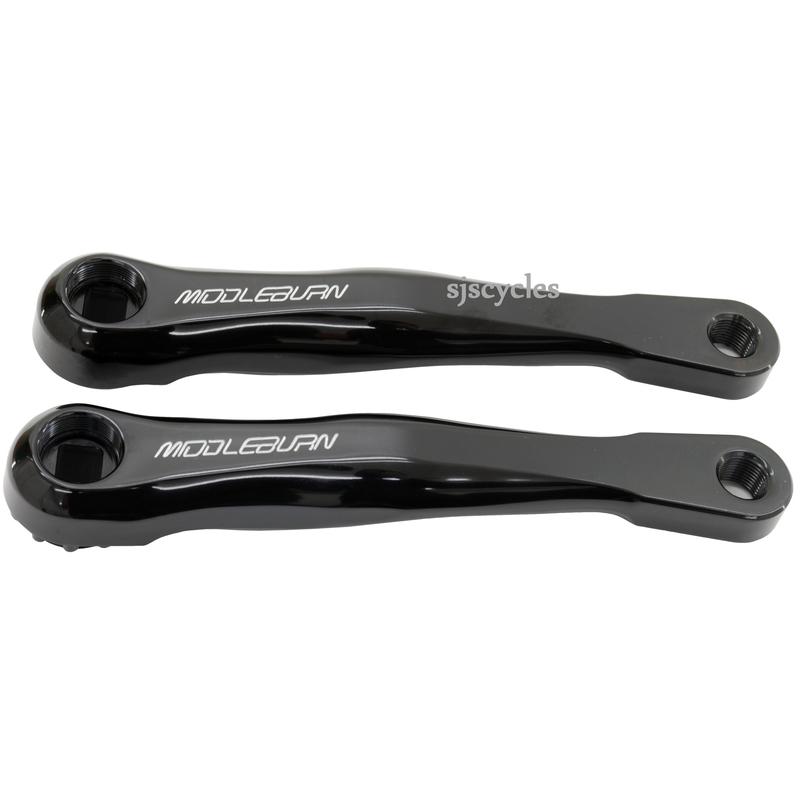 The Tandem cranks are available as standard in Silver or Black and 170 or 175mm. Hello, I have a simple question where can I find the installation instructions for these cranks sense Middleburn's website in down? Specifically what is the recommended torque for the bolt that holds the crank arms to the square taper bottom bracket? Unfortunately we don't have access to installation instructions for these cranks any more, but based on other similar designs from other companies the Torque rating should be somewhere between 25 and 35Nm.